[Dark Fate] The Critical Moment. Ayato looks like Yui in the last episodes. 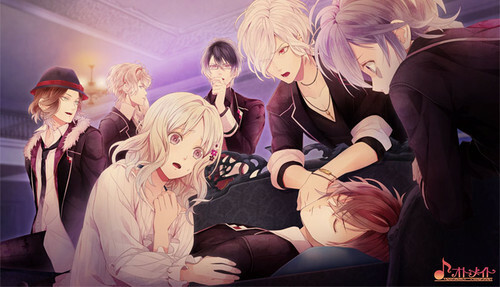 The ones who seem to care are Kanato, Subaru and, of course, Yui, and a bit Reiji. What do 당신 think?. Wallpaper and background images in the 디아볼릭 러버즈 club tagged: photo diabolik lovers dark fate df sakamaki brothers yui. This 디아볼릭 러버즈 photo might contain 잘 입고 사람, 정장, 바지 정장, 잘 차려 입은 사람, 양복, pantsuit, 신사복, and 비즈니스 정장.